FAQ - Just Kitchens London Ontario | FREE Estimates! Click one of the questions listed below to scroll to the answer. What are the first steps I should take when planning my kitchen renovation? How much does the initial estimate cost? Does Just Kitchens have a showroom? How do I know what appliances I should get? Do you sell sinks, faucets, and backsplash tile? How much do I pay for the deposit and what methods of payment are accepted? Does Just Kitchens guarantee their work? You should have an idea of your budget, and the scope of your project. 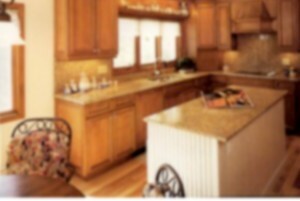 Do you want to reface, or have new cabinetry? Do you want a wood, laquer or PVC finish? Are you going to purchase new appliances or keep what you currently have? What would you like to change in your current layout? We can assist you in making the best decisions for your vision and budget. If your project seems like a good fit for our company, we will provide an in-home estimate free of charge. When we meet we will discuss your needs and wishes. We will offer solutions that will address these needs and present samples of our products to showcase the colour and style options. Measurements will be taken and a quote will be provided within a week. We have a show room space attached to our shop in South London. We meet clients at the showroom by appointment only as a follow-up to the in-home-consultation. Do you supply sinks, faucets, and backsplash tile? There are many sink, faucet, and backsplash tile options that we source from our list of local suppliers. We can provide helpful suggestions that will compliment your project. Every job is different and what Just Kitchens excels at is project management. Most projects are completed in 2-3 days. Larger kitchen renovations can be completed in less than 10 working days. Our renovation projects can include drywall repair, painting, and flooring. Upon signing the contract, we require a 50% deposit. The remaining balance is due upon completion of the project. Our workmanship is guaranteed for 5 years. Yes, we are covered by WSIB, and have $2M general liability.